New this year! Landis Valley explores Christmas through the years with the help of literature. 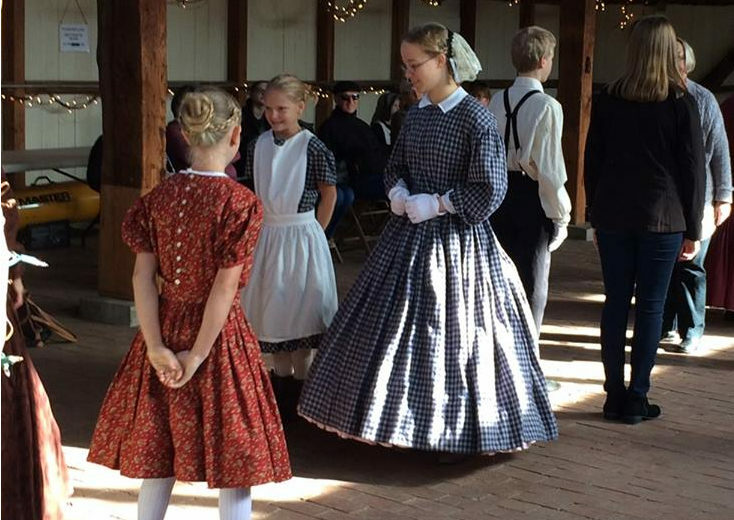 What was Christmas like for kids like Laura Ingalls Wilder (Little House on the Prairie)? Or for young ladies like the March sisters (Little Women)? Or for young couples like Jim and Della (The Gift of the Magi)? And what made Christmas so special for the shoemaking elves (“The Elves and the Shoemaker”)? How did Pennsylvania German traditions influence these stories? During the event, meet the Belsnickel as he roams the village, smell delicious food cooking in the Tavern, and take a wagon ride around the site. Kids! Post your letter to Santa at our Landis Valley Post Office. Landis Valley once had a working post office and were opening it again to accept letters to Santa Claus. Kids will learn about Santa from our Education Department and craft the perfect letter in their best penmanship. Then, each child will put their letter in an envelope and drop it off in the post office in the back of the Country Store. We will send them to the North Pole and each letter will receive a reply from Santa. Hours: Saturday, from 10 a.m. to 4 p.m.
Sunday, from Noon to 4 p.m.